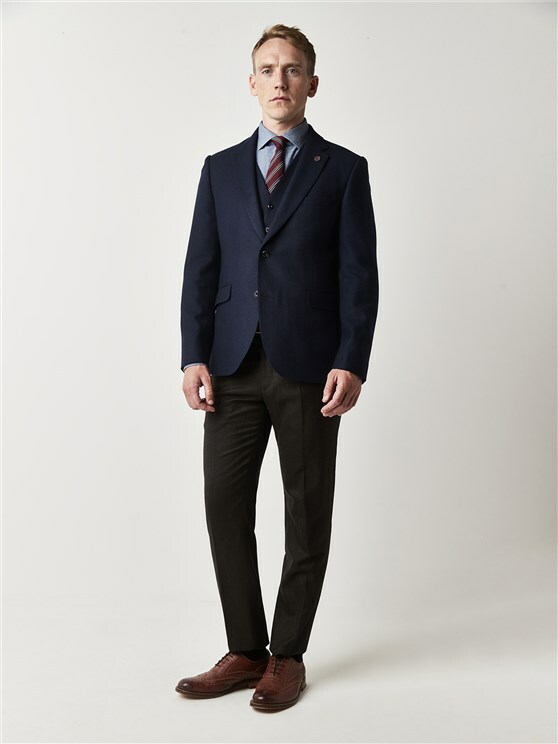 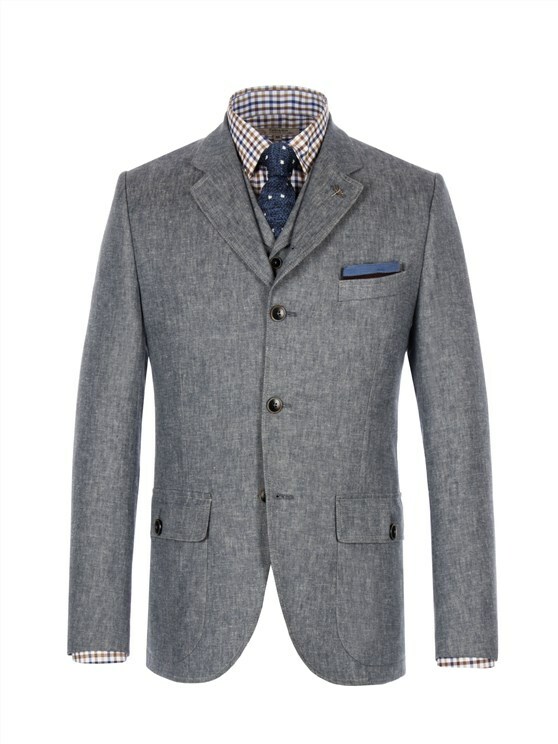 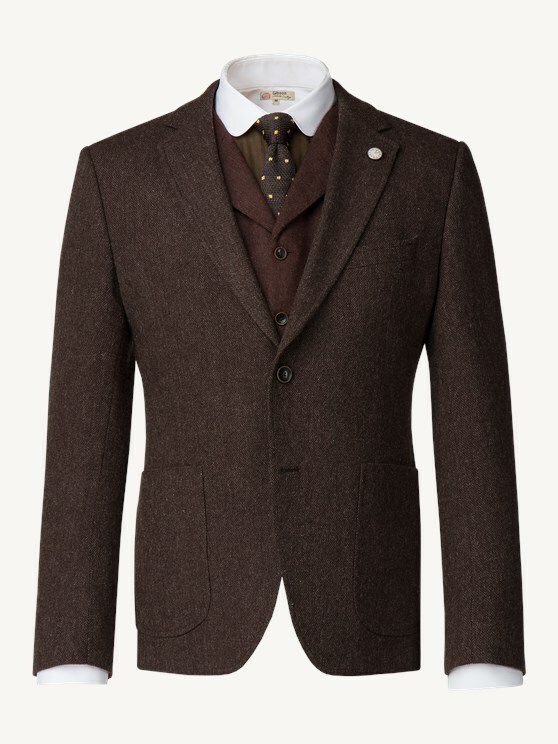 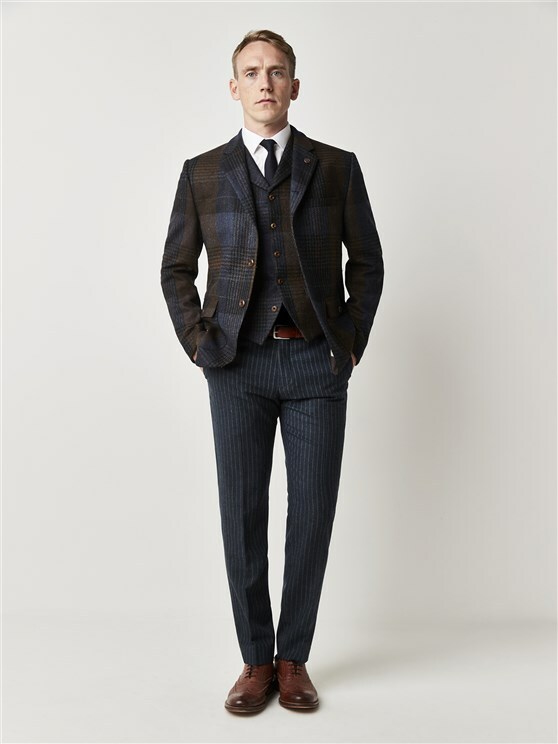 The Hawksworth is a heritage suit style for the man seeking a real statement. 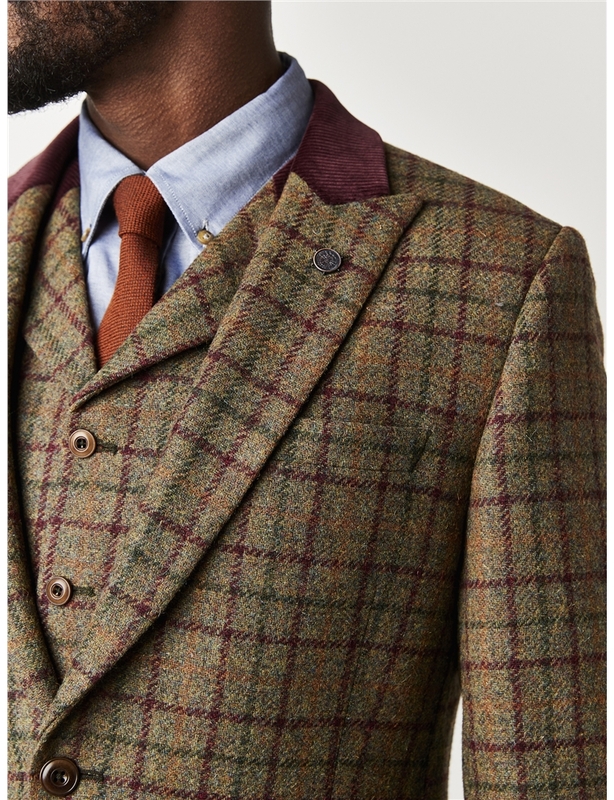 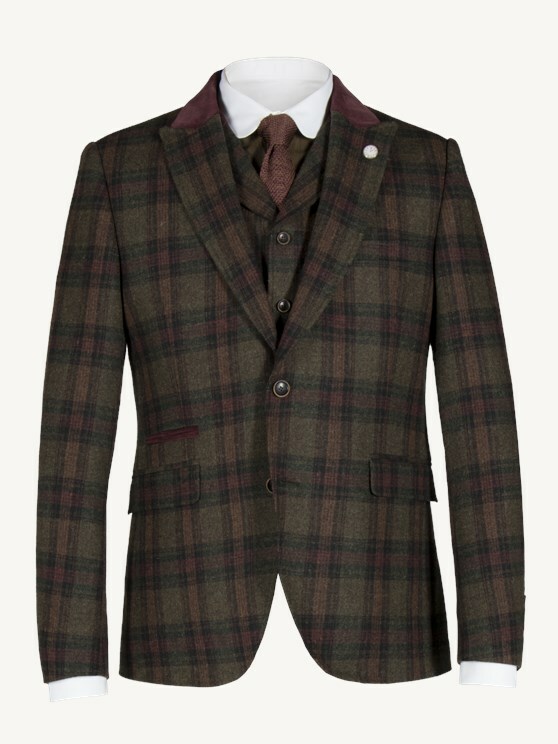 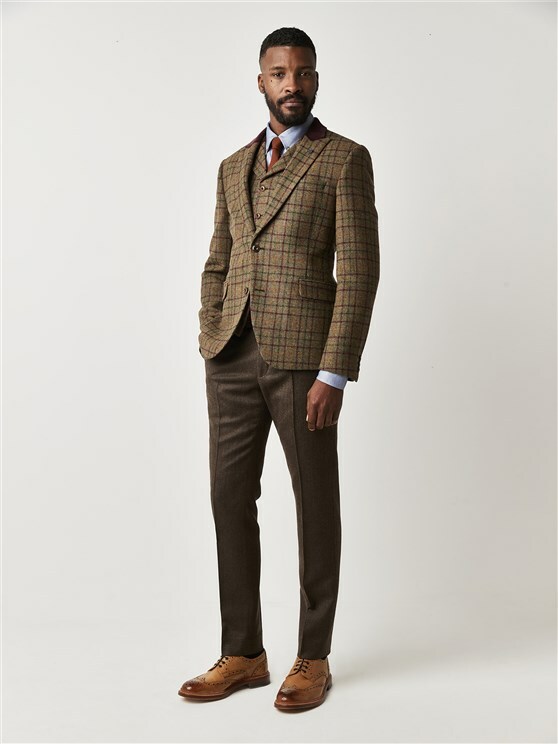 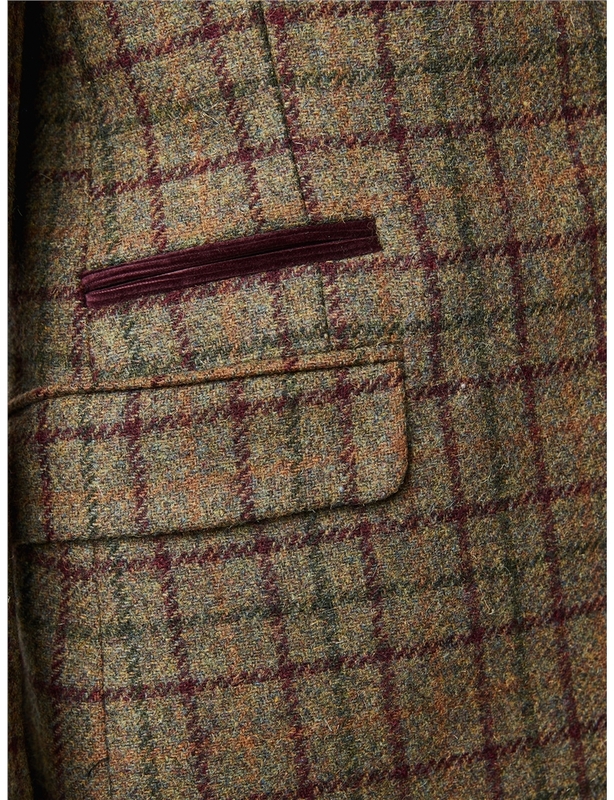 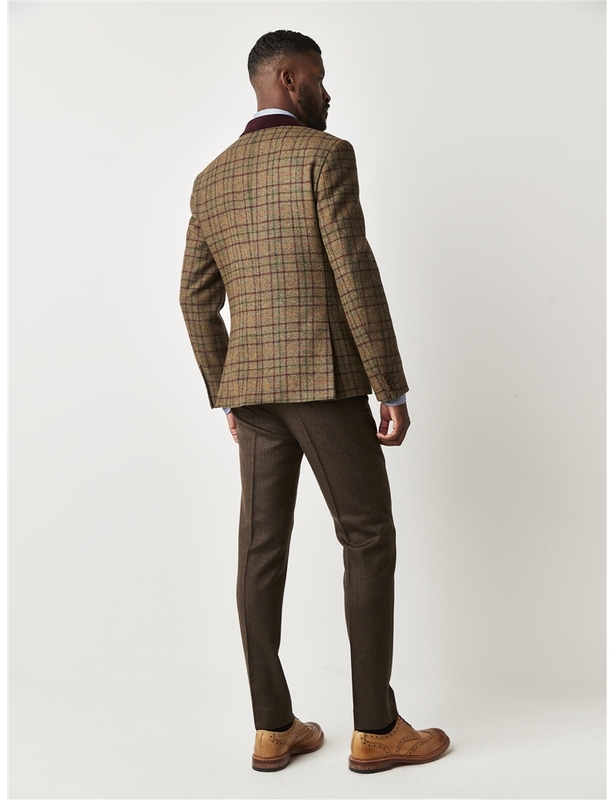 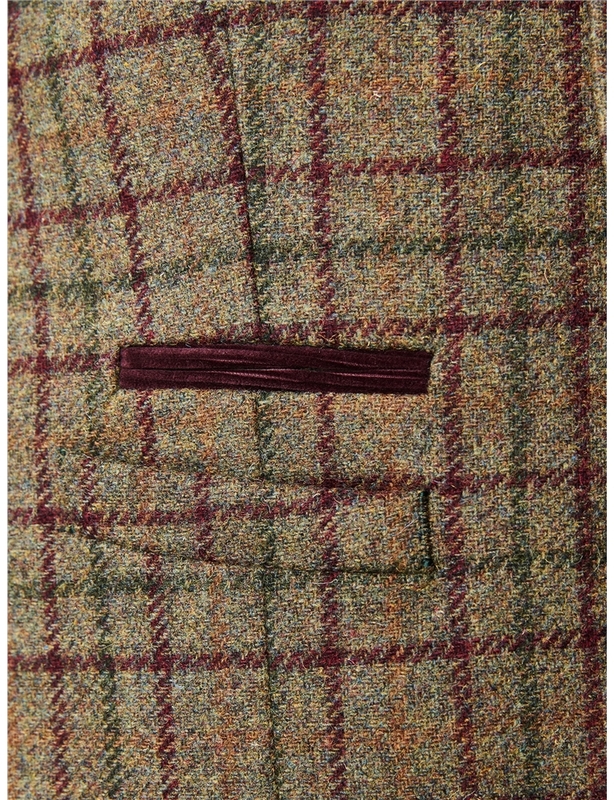 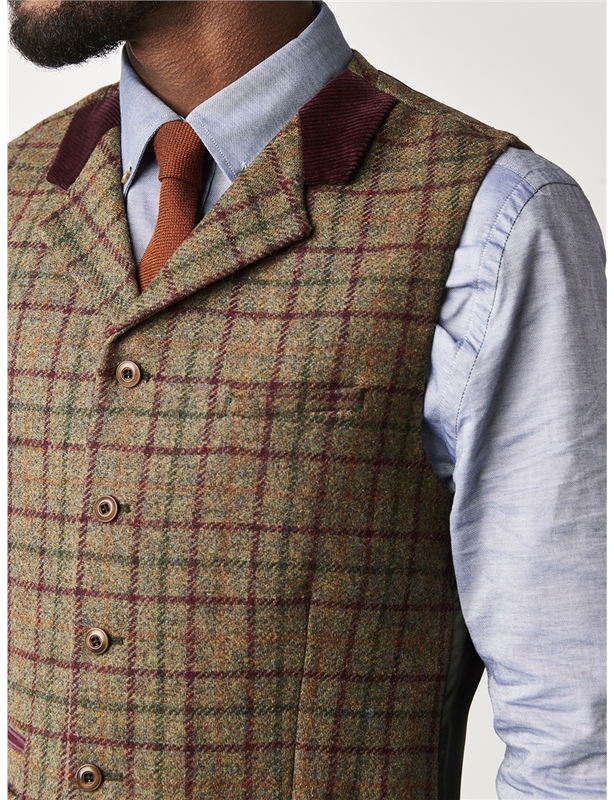 With a sage green and burgundy checked fabric, this vintage designer suit jacket is completed with contrast corduroy detailing, and a brushed fabric that's instantly impressive. 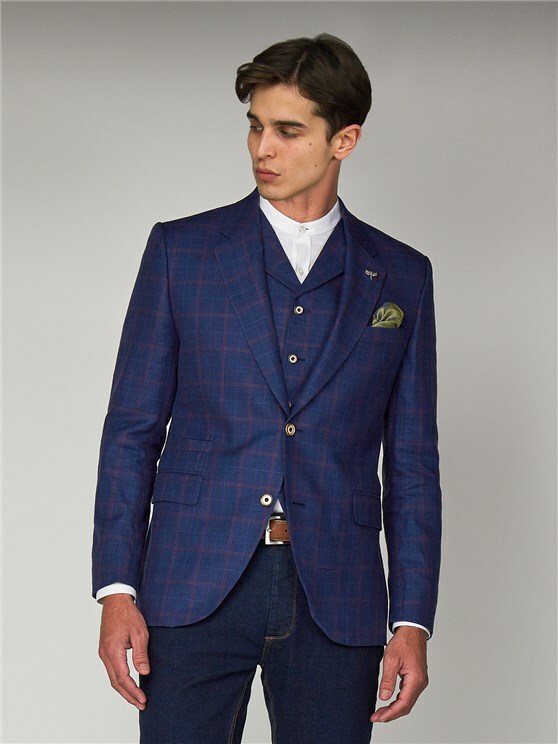 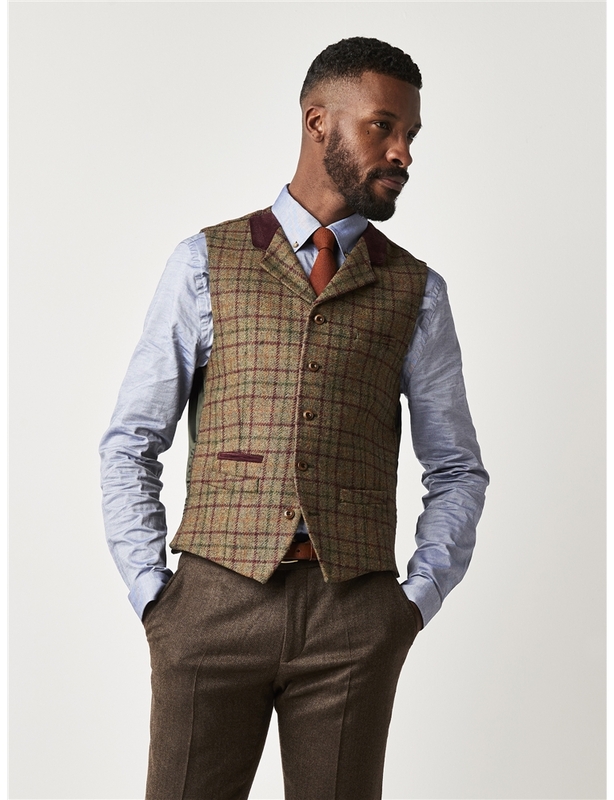 With a slim, tailored fit, this men's suit jacket boasts a flattering frame and an eyecatching heritage style that's inspired by a best of British look that's impressive for any wardrobe. 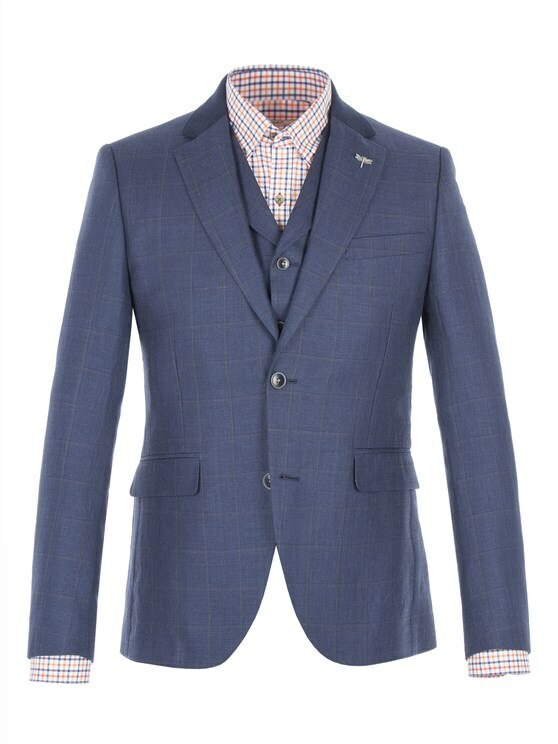 2018’s Gibson London range flies for the world conscious, lined with our signature map printing, a removable compass design lapel and a pull out orange handkerchief to create a high flying, designer style that’s timeless, stylish, and unique.